Tipping in Canada is much the same as it is in the U.S. Generally when you are receiving services, such as from wait staff, hairdressers, cab drivers, hotel employees, and others, you are expected to give an extra bit of money in addition to the stated cost. So, for example, if a haircut is $45, you should pay that amount, plus, say another $5 to $10 as a tip, for good service. Tipping is not mandatory but generally expected because most of the service providers receive a relatively low base pay (minimum wage is about $10 an hour in Canada) and rely on tips to bring their earnings to a decent (sometimes very good) rate. In most cases, a tip in the range of 15% to 20% is perfectly acceptable. Here are some more specific circumstances and guides on how to tip (amounts suggested are in Canadian dollars). Keep in mind is that sales tax in Canada is between 5% and 15%, depending on the province, but tipping calculations are suggested for pre-tax amounts. Cabs/taxis: Anywhere between 10% to 20% of the fare. For example, a good tip would be $2 on an $8 fare (easy to round up to a $10 bill) or approximately $5 or $6 on a $40 fare. Airport/hotel shuttle: Not everyone tips these drivers, but a $2 tip is acceptable if your driver was friendly or helpful. Doorman: $2 if he hails you a cab. Bellman: $2 to $5 per bag. Chambermaid: $2 to $5 per day or a lump sum at end of your stay. Here's how to know much to properly tip your maid. Room Service: Be sure to check whether a tip is included in the cost of room service, as it is not necessary to tip on top of this. Otherwise, 15% is common, or $2 to $5 if the staff member is delivering a no-cost item, like extra pillows. Parking Valet: Typically, a $5 to $10 tip when picking up your car; some people also tip when leaving it. Concierge: Tipping the concierge is not usual, but if you are particularly pleased with your service, a tip at the end of your stay will no doubt be welcomed. 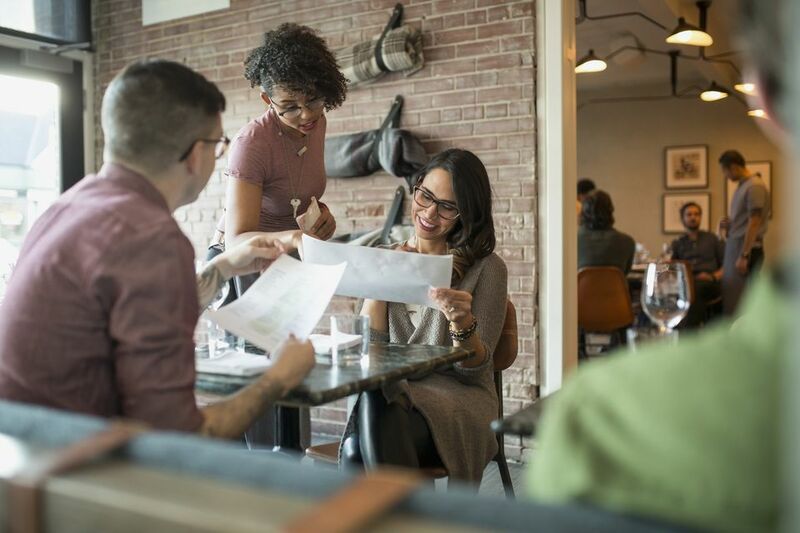 Sometimes the tax percentage can help you figure out what the right restaurant tip should be. For example, in Nova Scotia, sales tax is 15%, so you can tip at least the tax amount of the bill. Or, in Alberta, where sales tax is 5%, just multiply the tax by 3 to get a minimum tip for good service. Wait staff/servers: 15% to 20% of the before-tax total is typical. Above that is exceptionally generous but not uncommon. Bartender: The dollar per drink that applies in many U.S. cities isn't as strict here. Ten to twenty percent is standard or often a "keep the change" rule applies. Coat check: $1 to $2 per coat. A tip of 15% to 20% for hair stylists, beauticians, and masseurs is typical on top of the before-tax total. It is also appreciated if you tip the person who blows dry your hair as well as the one who washes it at $5 to $10 each.